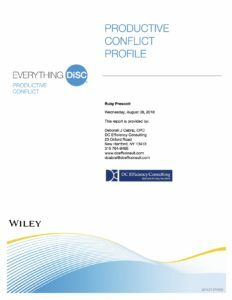 What is Everything DiSC® Productive Conflict? 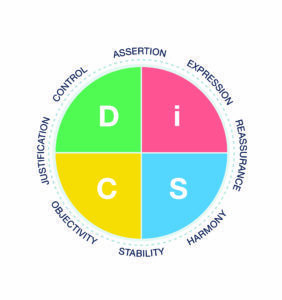 Existing Data: If learners have existing data from a previous DiSC® training, that data can be used with the Everything DiSC Productive Conflict Profile. Destructive Responses: Participants explore common destructive responses to conflict and why they and others might react this way. This valuable information can also relate to conflict in non-work settings.